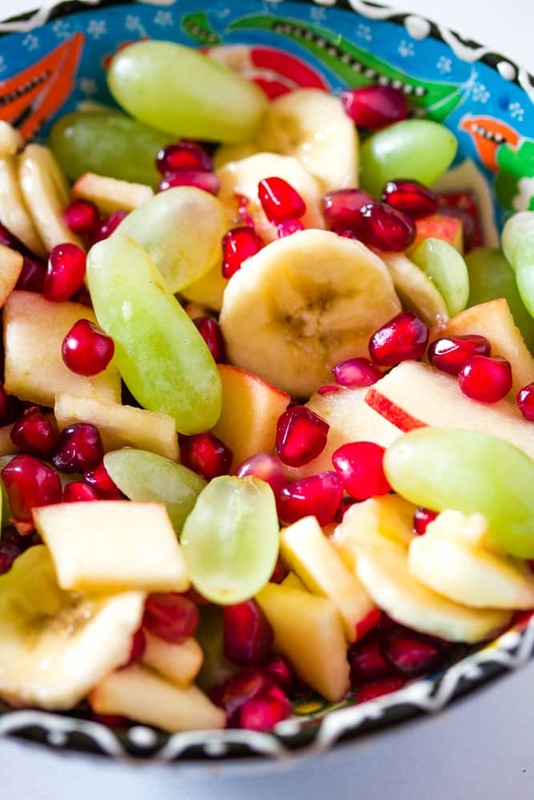 Pakistani Fruit Chaat is a staple in the month of Ramadan, and is also commonly made throughout the year. It’s a simple fruit salad made with assorted fruits, chaat masala, chickpeas, and orange juice. Fruit Chaat is such a quintessential recipe in all Pakistani households, especially at Iftar time in the month of Ramadan. 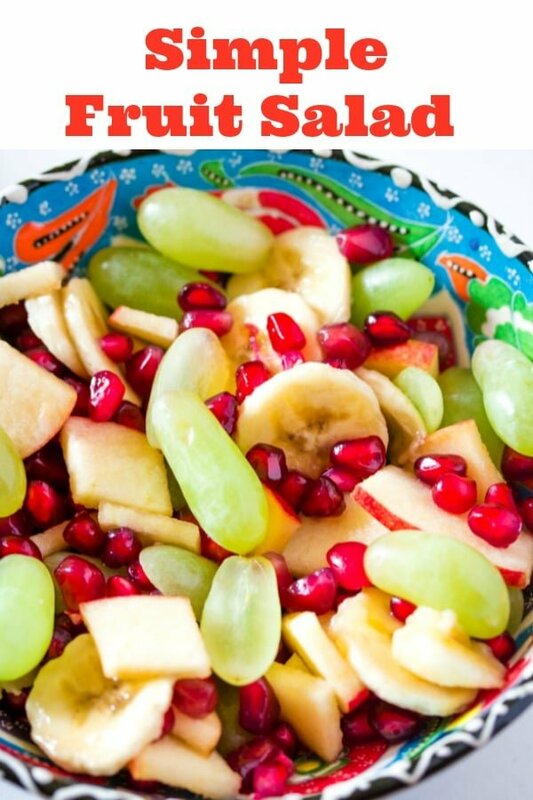 It’s a very simple recipe, and super versatile as you can change up the fruits to your liking. If you’re wondering what chaat means, well it’s a term that Pakistanis use for different kinds of street food salads…for example Chana Chaat and Aloo Chaat. These are simple salads that are made with different kinds of beans, fruits and potatoes. They’re often topped with chaat masala and/or chutneys. And they’re super delicious and addictive! What is Chaat Masala though? Chaat masala is a blend of ground of spices that’s tangy, and can uplift the flavour of any recipe with just a pinch of it. It’s commonly sprinkled on all kinds of chaat recipes in Pakistan and India. What Fruits can be used in Fruit Chaat? 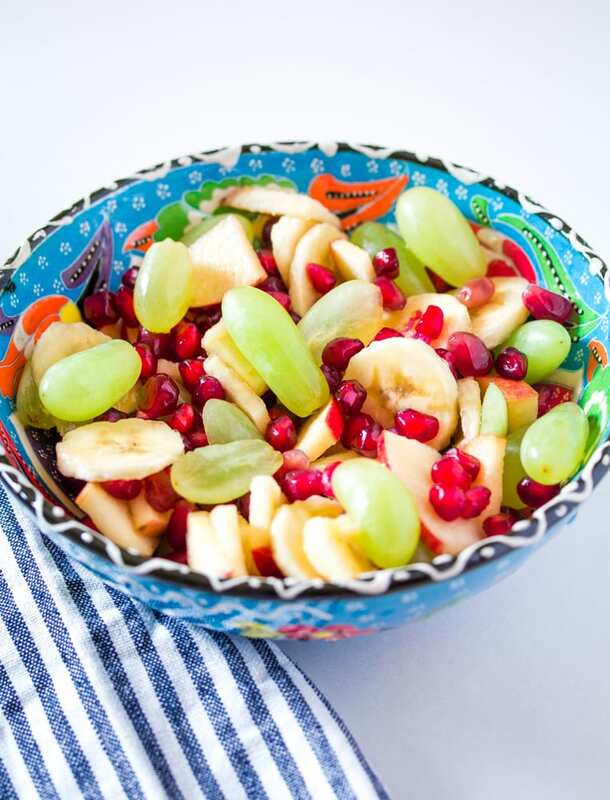 Any seasonal fruit you love goes well in Fruit Chaat. I like to add pomegranate seeds as they add lovely colour and flavour to fruit chaat. Some people also add canned fruit to fresh fruit, to add a sweeter touch to the fruit chaat, but I like to stick to fresh fruit when making simple fruit chaat. Chickpeas in Fruit Chaat – Yay or Nay? This is a pretty divisive question when it comes to fruit chaat. I’m strictly in the nay camp when it comes to adding chickpeas in fruit chaat. But a lot of people really do love chickpeas in their fruit chaat. Chickpeas are a good source of healthy protein, and are very filling so they do add some more body to fruit chaat, especially if you’re planning to have it for iftar. 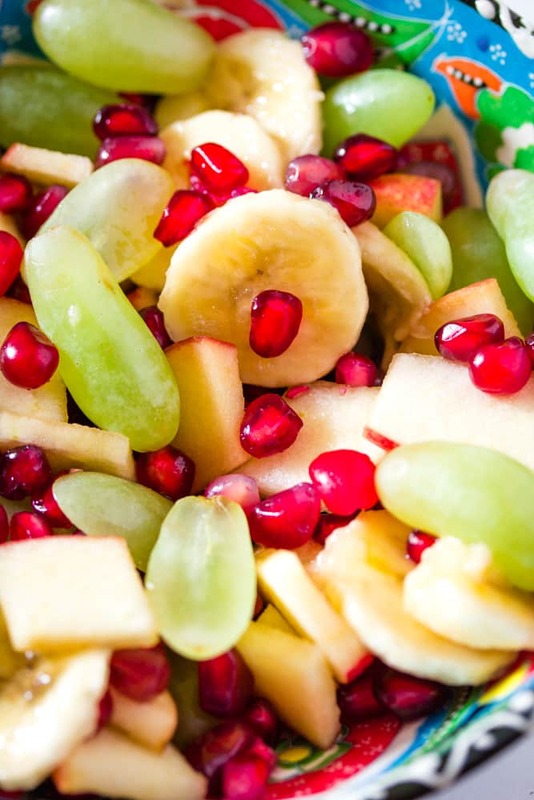 Making fruit chaat is super simple. Just cut up all the fruit, mix them up together. Add chickpeas if you using. Then sprinkle with some chaat masala and mix. Finish up with some fresh orange juice, and voila! 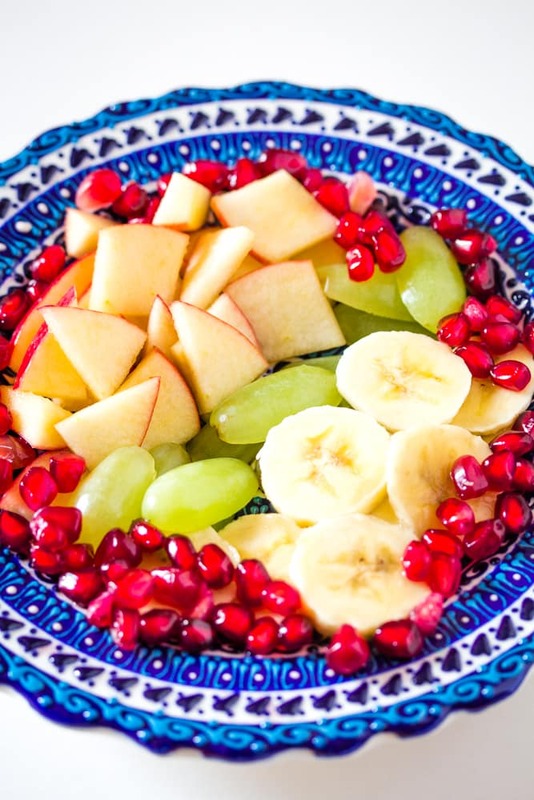 Your delicious, healthy fruit chaat is ready. In a medium bowl mix all the ingredients except orange juice. Once everything is combined, add the orange juice and give another quick stir.